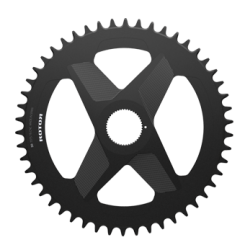 With Q rings you can ride further and faster with less fatigue because you are using your muscles more efficiently. 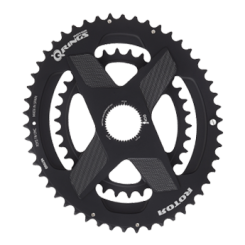 Thanks to their oval shape, Q rings boost cycling performance by varying drivetrain resistance during pedaling in line with the legs' natural strengths and weaknesses. 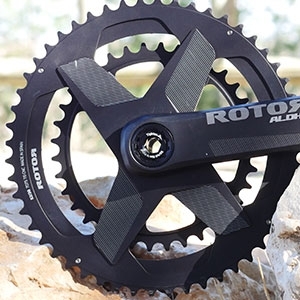 By orienting the narrowing diameter of the oval to the weakest point of the pedal stroke and the widening diameter to the strongest point of the pedal stroke, you can take full advantage of the most-productive part of your pedal rotation (while lessening time spent in the least-productive part). 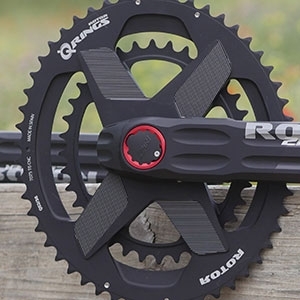 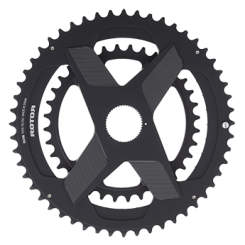 ROTOR Bike Components crafts products with a specific intention: to help you improve your cycling experience.